Your Local Phoenix Experts for Walk-In Tubs and Accessible Bathing Solutions. Welcome to PhoenixWalkInTubs.com, we are your local providers of walk-in tubs and accessible bathing products right here in Phoenix, AZ. At Arizona Therapeutic Walk-In Tubs we are your one-stop solution for sales, installation, service, and complete bathroom remodeling. Our accessible bathing products are all made in the USA and adhere to safety requirements of ADA, UL®, IAMPO/R&T, UPC®, IPC®, or ETL certifications. 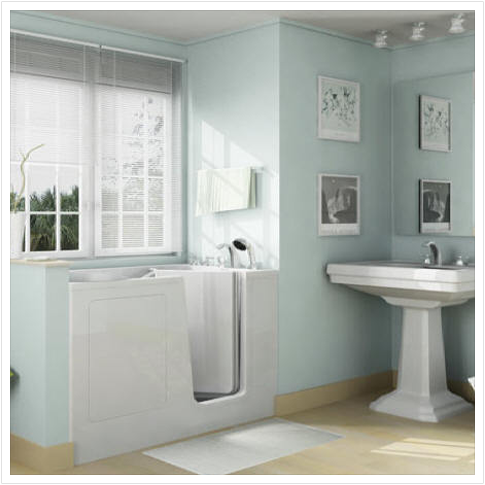 We carry the safest, most luxurious, and affordable walk-in tubs and accessible bathing products for active seniors, elderly people, people with disabilities, people with limited mobility, or anyone looking for a safer and more convenient bathing experience. We invite you to experience the superior quality and personal service that we offer. We carry a wide variety of walk-in tubs and wheelchair accessible tubs, so regardless of the space, budget, and walk-in tub features, we will have the right walk-in tub for your needs. From convenient and safe, to the ultimate luxury bathing experience, we have the walk-in bath that is tailor made just for you. 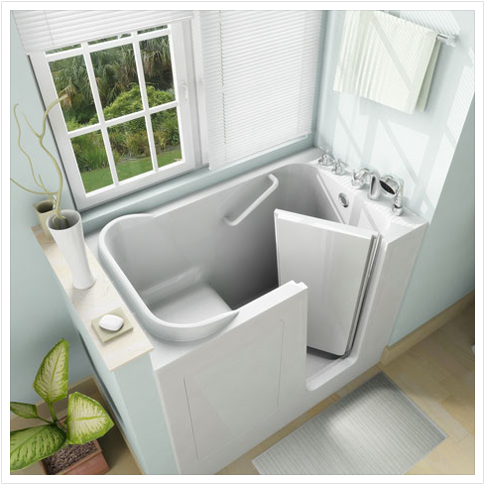 Is your current bathtub not being used due to the difficulty of stepping in and out safely? Would you rather shower than bathe? A tub to shower conversion may be a good fit for your needs. Our tub to shower conversions provide easy access with safety features, as well as custom options; such as custom tile, cultured marble, granite, and more. Tub cutouts are the most affordable option for a simple, safe, and convenient solution to entering and exiting an existing bathtub. By cutting away and placing a tub door or tub step into your existing bathtub, it saves you from the expense of removing the bathtub and replacing it with a new walk-in tub or shower. 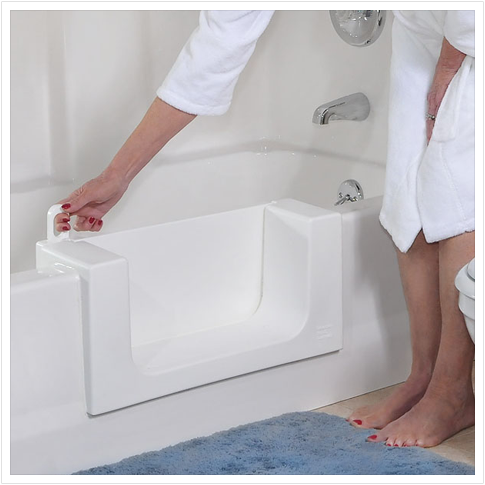 Slide-in tubs are bathtubs that you slide into with easy access from a wheelchair or from sitting position. The real benefit of slide-in tubs vs most walk-in tubs is, if you can’t walk you can’t use a walk-in tub. If you can get in and out of bed yourself you can use a slide-in tub yourself. Slide-in tubs provide the full deep soak bathing experience, similar to bathing in a standard bathtub– but also includes many safety features and luxury bathing with hydrotherapy options. 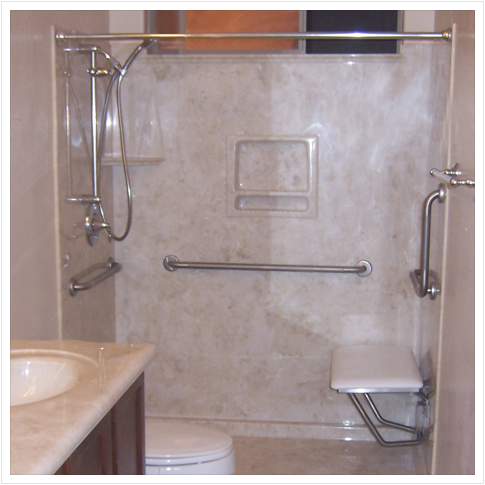 Our handicap accessible showers provide barrier free access into the shower with the use of a wheelchair or walker. 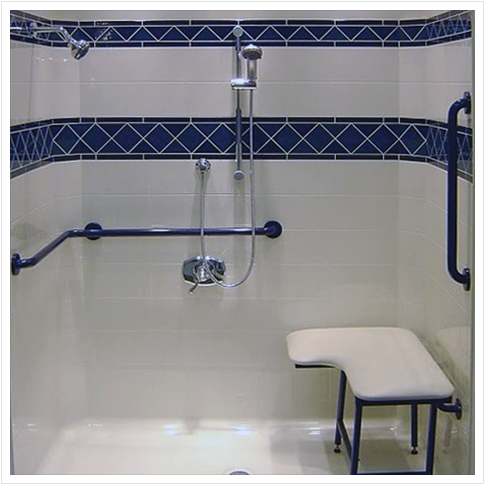 Handicap showers are very spacious allowing ease of maneuvering, which is great for independent use as well as providing extra space for caregiver assisted bathing. If you don’t feel that a walk-in tub is the best option, we can install a handicap shower that offers easy access with safety features and custom design options. 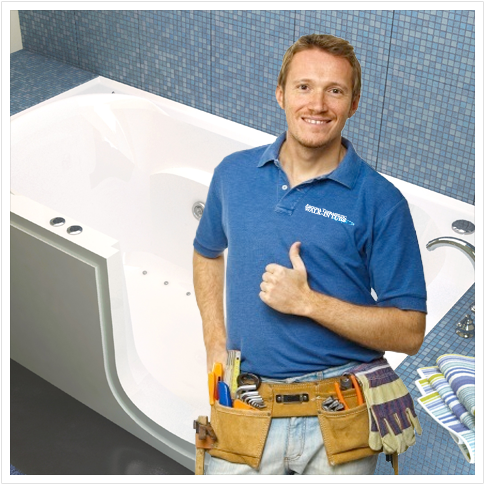 Forget about the hassle of ordering a walk-in tub or accessible bathing product from an out-of-state company and having to find an experienced, licensed contractor to install it for you, or if you have a warranty issue, getting service. We take care of everything from sales, installation, service, and complete bathroom remodeling, right here in Phoenix. phoenixwalkintubs.com Copyright © 2013 - Arizona Therapeutic Walk-In Tubs. All Rights Reserved.